Chorus.ai, the leading Conversation Intelligence Platform for high-growth sales teams, announced Smart Playlists for mobile. Built to securely capture, store and analyze sales calls and meetings, Chorus.ai solves the challenge of maximizing the opportunity of managers to impact team performance through coaching, even with limited time. The Chorus Mobile app, paired with proprietary Smart Playlist technology, surfaces critical moments from sales calls that a manager should review, and allows them to provide personalized feedback to their teams. Using the mobile app, sales reps can now better prepare for customer interactions by reviewing sales calls, key moments and manager feedback while on-the-go. The solution proactively identifies patterns within conversations, and automatically curates playlists of relevant calls utilizing Chorus.ai’s proprietary AI-driven technology. With the Chorus Mobile app, users are no longer tethered to a computer and can take coaching and call preparation with them anywhere. According to Gartner, by 2020, 30 percent of all B2B companies will employ artificial intelligence to augment at least one of their primary sales processes. 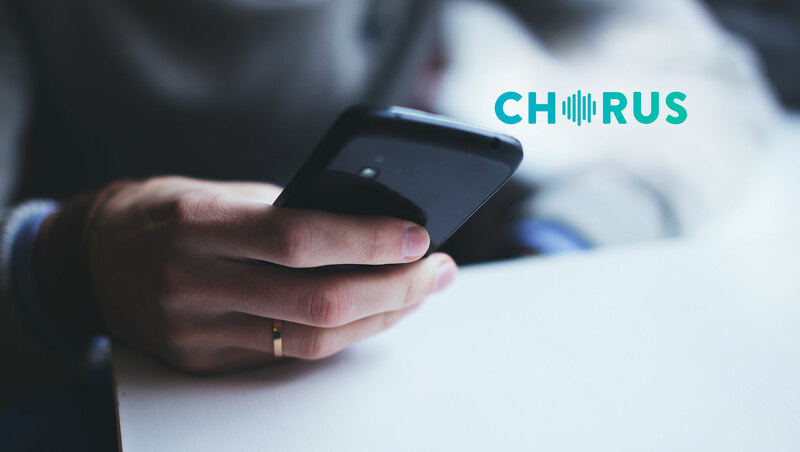 Chorus.ai’s sophisticated AI engine powers Smart Playlists to increase efficiency in business conversations. Designed to improve how leaders manage sales teams, Smart Playlists enables managers to curate a collection of the most important call moments to train and onboard reps.
Companies such as Adobe, Zoom and Procore use Chorus.ai to improve sales conversations. Chorus.ai was also recently named a finalist in the Artificial Intelligence Excellence Awards and Gold Stevie Winner for Sales Performance Management for its Smart Playlist technology.